HPCL invites proficient and motivated candidates looking for exciting career opportunities to be a part of our growth journey. Draft and finalize pleadings, agreements, various deeds & documents and add value to all legal matters. Develop the strategy for filing and defending cases. Provide sound legal opinion/advice and respond to queries quickly. Ensure that all cases are filed/defended well within the limitation period and there is timely submission of all pleadings and documents. Improve domain skills and share knowledge and information with team members. Keep updated on recent trends in the legal front. Handle Arbitration cases, verify title documents, conduct reviews and training. 3-year full time course in law after graduation or 5 year course in law after 12th Standard from AICTE approved / UGC recognized University/Deemed University. Candidates scoring minimum 60% in aggregate of all the semesters/years (55% for SC, ST & PWD candidates) in the qualifying degree (as applicable) are only eligible to apply. Qualification should be obtained only through full time regular course from a recognized University/Institute. 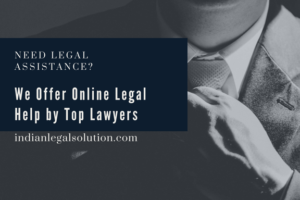 Minimum of one-year experience as a practicing Advocate or working in a reputed Law Firm or Company. For practicing Advocates, the experience must be after enrolment in the Bar Association and for working candidates, it must be post qualification. Experience should preferably relate to drafting Agreements, preparing Court/Arbitration papers, briefing Counsel, etc. substantially covering the law relating to Contracts, Sale of Goods, Transfer of Property, Intellectual Property and Consumer Protection. Candidates should possess excellent written/verbal communication skills. Proficiency in reading and writing in any one or more Scheduled language (as per Constitution) in addition to English and Hindi is preferred. How to Apply? :Candidates are requested to read the complete instructions hereunder before proceeding to the application form. Apply online only on www.hindustanpetroleum.com. Online submission of the application will be allowed on the website upto 31.07.2018. No other mean / mode of the application shall be accepted. Online Application System will be open from 00:01 hrs on 31.07.2018 to 23:59 hrs on 31.08.2018. Post Credit : Yash Soni, UPES.